It’s unavoidable. Anytime you turn on your TV, or browse the web, or go to the grocery store, you are guaranteed to be bombarded with advertisements touting a new “secret to better health,” or the latest “best” diet. Have you ever wondered how there is possibly so much “new” information about your health floating around out there? Well, it is because most of these claims are just not true. They are designed to convince you to buy some new magic bullet to improve your health, subscribe to a new diet plan, or simply increase viewership for a magazine or blog. These diet myths are so prevalent, it can be exhausting trying to figure out which claims are true and which are myths. Using science and our understanding of the body, we’re here to bust the three most common exercise myths. If you spend hours each week in the gym doing cardio, watching the number of calories burned climb higher and higher, yet you cannot lose any weight, you are not alone. Countless people believe the myth that exercise is all about burning calories. So they go to the gym, focus on cardio, and try to “burn off” whatever they have eaten that day. But, many people still do not lose weight, even if they’re burning hundreds of calories each time they workout. If you do track the calories burned during a cardio workout, you know how long it can take to get that number past the low hundreds. In reality, the number of calories that we burn during a workout is negligible. Exercising and burning calories can help you lose weight, but, as the saying goes, “you cannot outrun a bad diet.” The food that you eat is significantly more important when it comes to weight loss. Plus, people tend to eat more after a cardio-intense workout than they normally would, negating any calories burned. Focusing on burning calories will not help you get fit. But, don’t let this information discourage you from working out. Exercise can help you get fit and achieve your weight loss goals. You just need to shift your focus away from burning calories and towards building muscle. Even though it may not seem like it at the time, when you do a strength training workout, you are still burning calories. 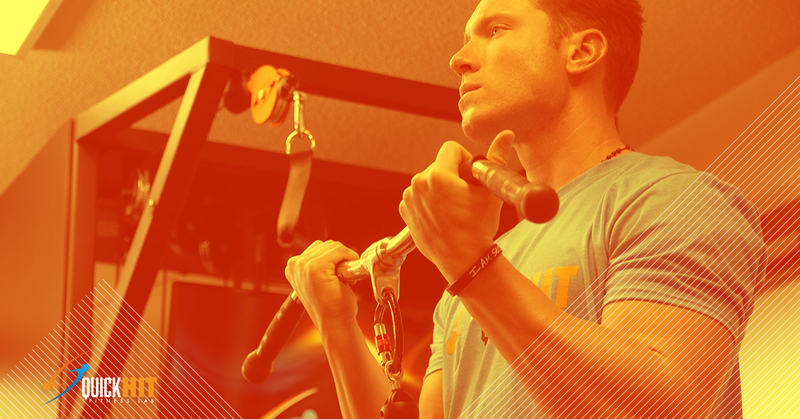 Even better, when you focus on building muscle and weight lifting, you continue to burn calories after your workout. This is because muscle burns more calories than fat. So, if you increase your muscle mass, you are also increasing your metabolic rate all day, so you burn more calories even when you’re done with your workout. Strength training also ignites a bodily process known as protein turnover. When you are working your muscles, you actually are breaking down the tissue and causing little “micro-traumas.” After your workout, your body gets to work repairing the muscles- and overcompensates by creating new muscle. During protein turnover, your body is actively building more lean tissue and replacing old muscles. Plus, your body needs energy for this process, meaning that you burn even more calories. This may seem counterintuitive if you’re used to doing cardio as your main workout, but weightlifting actually gives you more bang for your buck when it comes to burning calories. Our bodies are complex, and burning calories and losing weight involves a lot more than what goes on during a workout. If you’ve been struggling to lose weight or get fit with a cardio-focused routine, weight lifting can drastically transform your physique and help you accomplish your fitness goals. Wrong. Activities like running, swimming, and biking are what comes to mind for most people when they think of “cardio.” These activities are really “steady state aerobic activity.” And they are good for heart health, because they increase the maximum amount of oxygen our lungs can take in, also known as our VO2 max. But we now know that cardiovascular health involves much more than VO2 max. And, we know that strength training can also help increase your VO2 max, as well as a host of other benefits, including cardiac output. When you are working your muscles to failure, as you will during every QuickHIT Fitness Labs workout, the benefits are even greater. That’s because when you work your muscles to failure, the muscle fibers that use oxygen to create ATP cannot reach the oxygen quickly enough (because they are being worked so hard), so they resort to the anaerobic system. Your muscles will use glycogen stores for a boost of energy. After your workout, your glycogen stores will be depleted, which means in the days following your workout your muscles must take glucose from the bloodstream and convert it to glycogen to be used in the next workout. This process of removing glucose from the bloodstream helps balance blood sugar, increase insulin sensitivity, and can help prevent diabetes, heart disease, and other chronic diseases. So, next time you think you “need” to step on that treadmill for the sake of your cardiovascular health, think again. If a moderate amount of exercise is good for your health, a lot of exercise is REALLY good for your health. Right? Wrong. When it comes to getting in good shape, and maintaining your weight loss or fitness gains, less is actually more. What most people fail to realize is that your recovery time is equally as important as your workouts themselves, especially if you work your muscles to failure during your workouts. That last part is actually the key; you need to completely exhaust your muscles during your workouts in order to reap the maximum benefits. During a workout, you should not be watching TV or chatting with friends. You should be completely focused on your movements, maintaining proper form and alignment, activating the targeted muscles, and tuning into your mental strength to push yourself beyond your limits. If you can do these things, you’ll be able to significantly reduce the amount of time you spend in the gym each week, while getting even better results, because your workouts will be of a much higher quality. If you’re interested in these hyper-focused, targeted workouts that you can complete in a fraction of the time of a normal workout, sign up for a session at QuickHIT Fitness Labs. Our high-intensity training style works your muscles to failure each time, and one-on-one guidance from our trainers ensures that you are maintaining proper form, alignment, and your focus throughout the duration of the workout. Get your free time back — you only need to visit the gym once a week for about 20 minutes. That’s it. And you’ll still see results. If this sounds good to you, contact QuickHIT Fitness Labs today.